How Much Money is Needed to Start a Car Wash Business? You can make very healthy profits in the car wash business. Some earn upwards toward 1,000,000 per year, according to Entrepreneur magazine. However, it is a business that must be done right in order to make it payoff. There is a lot of research to be done, a lot of legwork and the initial investment can be steep – depending on what type of system you end up choosing and the lot size needed for it. Realistically, your car wash project can take about 6 months to complete from the time you purchase you property. If you don’t already have a lot for your car wash, you are going to have to purchase one. A vacant lot is great because you don’t have to incur demolition expenses. The lot’s size and location are going to affect the price you’ll pay – there’s no easy way around that. If you intend to put in a high-dollar wash, you may need a high-dollar lot in order to get the amount of traffic you need for profitability. Retail centers, busy streets near large shopping malls surrounded by a healthy residential community are always great choices if the price will work in your financial models. The car wash construction costs are directly tied to the size and type. The average car wash building is going to be anywhere between 1000 sq ft. and 2500 sq ft, on average. There are a variety of configuration opens that will affect the building size – size and number of bays, tunnel or in-bay automatic, self-serve. When working through your budget, keep in mind that construction costs are best viewed in light of the project as a whole, looking at growth over time. It’s recommended to err on the side of building a little larger than what you need giving yourself room to grow. Under-sizing your building can have a negative impact on your bottom line as it may take longer to earn back your initial outlay and it opens you up to competitors opening a nicer facility and therefore eroding your customer base. The cost of car wash equipment can vary greatly depending on your configuration. Self-Serve setups, per bay can be about $40K per bay. On the other extreme are tunnel car washes with conveyor belt systems that run nearly $700K. There are a myriad of car wash equipment suppliers out there. When considering equipment, choose carefully because car washes take a pounding. You don’t want to go cheap – you want to get the best qualify equipment that your budget will allow. Remember, that when your car wash is down, your revenue stops. So, using quality equipment is directly tied to your revenue flow. Also, you need to consider service. Only use companies who offer great and reliable service. Cheaper is not always better. It is recommended that you talk with other car wash owners to find reputable equipment suppliers and servicing companies. Also, it is great if you can take in a car wash show or two to get an overall view of the different equipment choices out there. It is not unusual for a car wash project to range from 1 to 2 million dollars – and even higher for the larger tunnels. Shinn Buildings is a car wash building designer and builder. We’ve built 100’s of structures all across the United States. 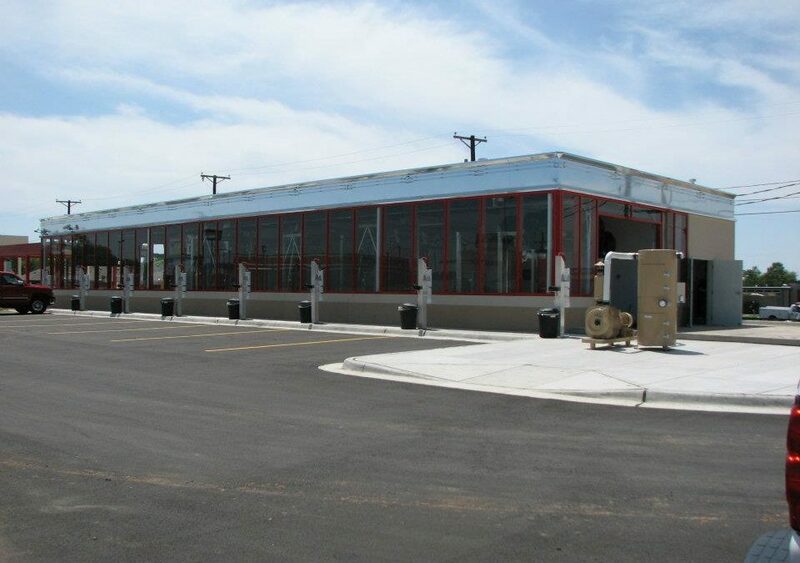 We specialize creating high-tech, affordable car wash buildings that will really hold up. We can help guide you through the maze of a car wash project – the good, the bad and the ugly. Give us a call to discuss.